Friends of Farm Green Open new play park in Bevendean 23rd March. In Farm Green three years ago, 2 mums met over an online petition about the unsafe playground, which is also the only playground in Bevendean. The local community worker connected with them online and met up with them to explain the lack of Brighton & Hove City Council funding for small parks, but suggested the possibility of them raising the funds if they were willing to form an action group. They constituted and opened a bank account and then the worker linked them into other community groups and the council officers who could help. They gained small amounts of funding from the Healthy Neighbourhood Fund and East Brighton Trust to carry out local consultation and engagement events in the park. Councillor Yates also supported the group by encouraging City Parks officers to meet the group on site and endorse the project and by promoting it through his community networks. Despite maintenance costs being such a pressure on the department, they conceded that if it did not increase the level of maintenance currently required they would endorse it as they could appreciate how needed it was in this community. In an area where obesity is significantly high within primary age children, this encouragement to do be physically active is vital. TDC worked with the mums to access funder searches at The Resource Centre and plan a fundraising schedule that culminated in a successful Veolia funding bid, which the council supported with the 10% match required. The resulting £70k improvement means that children in Bevendean now have access to an outdoor play space that is safe and welcoming. 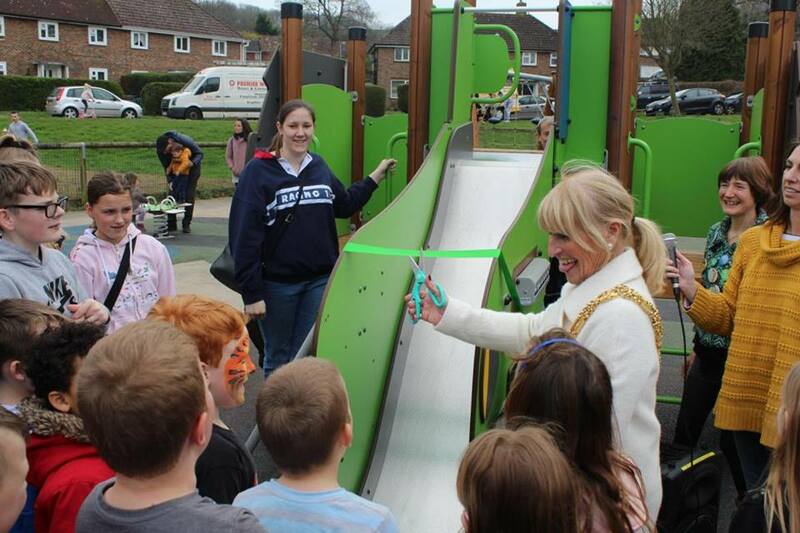 The grand opening happened on 23rd March 2019, with lots of happy residents and families in attendance and Councillor Dee Simson, the Mayor of Brighton & Hove, officially opening the park. Andy from local family lunch club Chomp catered the opening event, offering vegan and vegetarian healthy snacks for families to try. The group now has time to do future planning for Farm Green and ideas include better sport provision and lighting to enable more community use of the green. Community Worker for Moulsecoomb & Bevendean. Read about the opening of the Farm Green park in local newspapers The Argus and the Brighton & Hove Independent.